According to the U.S. Census Bureau, the average American spends roughly 26 minutes commuting by car from their homes to their workplaces. That means we’re collectively spending billions of hours on unproductive and unfulfilling commutes. But it’s not just time that we’re spending on our commutes – we’re spending money, too. The average cost of an American commute is $2,600, according to the Citi ThankYou Premier Commuter Index. There are different ways of calculating the costs of an average American commute. One way is to look at the money people actually spend – on gas, vehicle maintenance, car insurance, tolls, public transit and parking. For most people, gas is the biggest commuting expense. For Americans who drive solo to get to work (which is most of us), our job security is partially dependent on how reliable our car is and whether or not we can keep up with commuting costs. Telecommuting is still only an option for less than half of American workers. Another way of calculating the cost of an average American commute is to look at the impact of our commuting methods on our communities and on the planet. For example, walking and biking reduce the costs to the environment and public health. Driving generates societal costs in terms of pollution, wear and tear on roads, congestion and crash risk. A third way of calculating the cost of an average American commute is to look at that cost as a percentage of the commuter’s income. By this measure, low-income Americans are bearing a high burden. 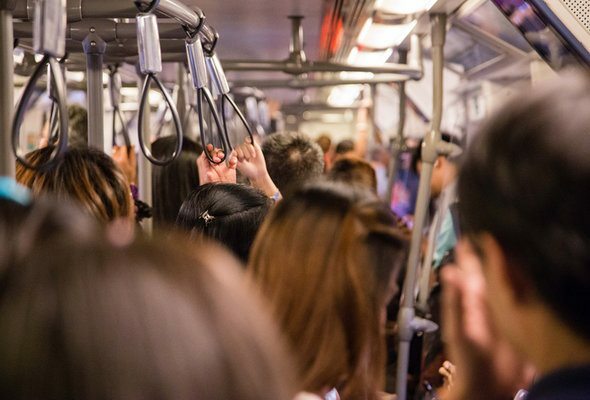 Though low-income commuters spend less on commuting than their high-income counterparts, low-income Americans spend a much higher percentage of their income on transportation costs. A fourth way of evaluating the cost of an average commute is to take into account the opportunity cost of the time spent commuting. Most people are not compensated for their commute time and can’t work during that time. That means they’re missing out on hours during which they could be generating value for the economy and earning wages. Historically, there has been a trade-off between housing and transportation. Home prices per square foot are assumed to decline as you get farther from central business districts. The trade-off is the classic choice between a large house with a longer commute or a small apartment with a shorter commute. However, recent patterns in housing and jobs have upended this conventional wisdom to some extent. American commute times keep increasing, and the number of jobs in close proximity to where the average American lives has shrunk. 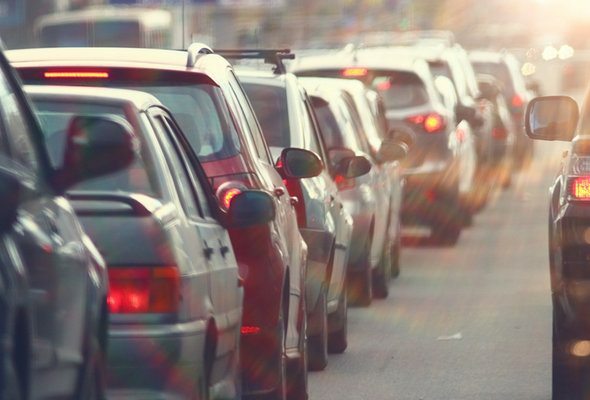 Brookings Institution research found that “On average across the United States, the number of jobs within a typical commute distance declined by 6% between 2000 and 2012.” What’s more, the number of Americans with commutes of 90 minutes or more has risen. The lack of housing supply in some of the country’s most productive metropolitan areas has made it harder for people to live close to where they work – unless they have the financial resources to buy or rent close to work. And even “affordable” housing may not be the best deal when you factor in commute costs. Take, for example, recipients of Section 8 housing vouchers, who often have to go far from job centers to find a) landlords who are willing to accept their vouchers and b) find apartments that are affordable after the voucher is accounted for. Recent research found that some HUD households, especially in metro areas that are less compact, pay so much for transportation that their commuting costs eclipse the value of their housing vouchers. It’s not surprising, then, that some have called for a “holistic” interpretation of what constitutes affordable housing. That holistic view would take the cost of commuting into account. For most households, transportation is the biggest expense category after housing. In the ideal livable city, housing and transportation would both be affordable and commutes would be short. 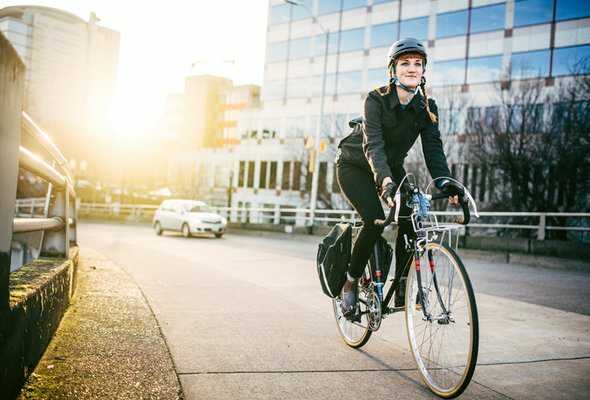 Related Article: The Most Livable Cities in the U.S.
Commuting costs Americans time and money. Most of us would prefer to have shorter commutes. Time will tell whether technological advances in telecommunication and autonomous vehicles will radicalize the American commute. In the meantime, the best-case scenario is a short commute and employer-sponsored commuter benefits that allow for spending pre-tax dollars on commuting expenses such as public transit passes and parking passes. Update: Just like your commute, you likely want to minimize the amount of time you spend managing your money. A financial advisor can help you do that by working with you to identify your financial goals and create a financial plan. A matching tool like SmartAsset’s SmartAdvisor can help you find a person to work with to meet your needs. First you’ll answer a series of questions about your situation and goals. Then the program will narrow down your options from thousands of advisors to up to three fiduciaries who suit your needs. You can then read their profiles to learn more about them, interview them on the phone or in person and choose who to work with in the future. This allows you to find a good fit while the program does much of the hard work for you.